Things look a little different around here, huh? I've been missing from the blog for a couple of months now. But that's for good reason. I've been working hard behind the scenes to get ready to bring my new lifestyle site to you. And you're seeing the results today! I've been blogging at The Shabby Nest for 10 years...yep! 10 years! And I've loved every minute of it. But after 10 years, a girl changes a bit. And frankly, her website ought to change with her. I've mentioned several times about my 45th year being my "Year of Transformation", where I have been working to make changes in virtually every area of my life. Well, The Shabby Nest was one of those areas as well. 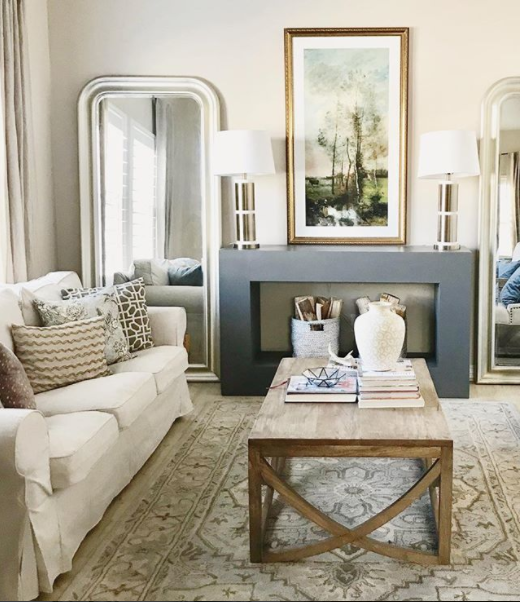 For 10 years, my blog has focused primarily on Interior Design, which is what I do for a living, and of course, is one of my great loves. But, it is not the only thing that I love, and I wanted to bring my other interests to the blog as well. Like Fashion, Beauty, Self-Empowerment, and Entertaining. where I am going to share not only interior design, but all of these things and more! If you follow me on any of my social media channels - and if you don't - you should ;) - I'm going to be rolling out the changes there as well. So watch for my new brand name to be appearing on each of them. have fun together exploring all the ways that we can make our lives our best lives! PS Inspired further by my Year of Transformation, I'm introducing The Curated Lifestyle. If you're a woman 40 years and up...you'll want to check out The Curated Lifestyle page! I've got some really exciting things in the works for this new venture!